We at Fitzpatrick Homes realize that choosing a new house means more to you than a roof and four walls. Your house is your home, and home is about family. A house becomes a home when memories are created, when laughter is shared, and when families grow. 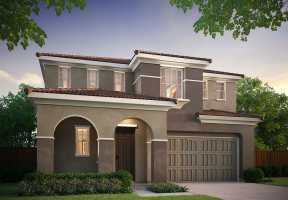 At Fitzpatrick Homes, we build communities with you and your family in mind. We create elegant yet functional homes that, just like photo albums, will be filled with all your treasured family memories. A house becomes a home when memories are created, when laughter is shared, and when families grow. 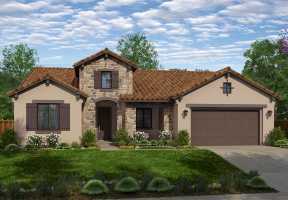 For more than three decades, the Fitzpatrick family has been building state-of-the-art homes and multi-family communities throughout the Central Valley and Northern California. “Building quality into every home” has been the basis of our philosophy since we started our company in 1963. Our reputation as a premier builder is derived from our attention to detail and our superior personal service that we provide to each and every Fitzpatrick homebuyer. We carefully scrutinize and select each new Fitzpatrick Home community to ensure long-term value. Buying a home may be one of the most important financial decisions in your life, and we want to ensure that your investment will be secure. Because we use only the top industry professionals, we create communities featuring the most current innovative architectural designs and homes containing the highest quality craftsmanship. 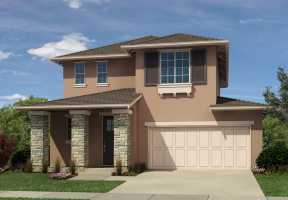 Innovation and quality: characteristics synonymous with the Fitzpatrick Homes’ reputation. Our commitment is to family — both yours and ours. When you choose a Fitzpatrick Home, you not only join the extended Fitzpatrick family of homes, you make an investment in quality, reliability and service that will benefit you and your family — now and for the years to come. In 1963, we began by refurbishing and building exceptional homes throughout the San Francisco Bay Area, and our company’s foundation of excellence became firmly rooted in the community. Developers, both big and small, continue to look to UC Construction’s decades of expertise and esteem within the industry to help keep their projects under budge and on time. It wasn’t long before we expanded our expertise to include high-density and commercial development, as well as general contracting services. With innovative designs and advanced methods of building in one of California’s most geographically distinct areas, UC Construction’s reputation for creating remarkable properties is recognized throughout the area with every apartment complex, hotel, and office building we’ve built. UC Construction is also known for the ability to streamline the planning process by working with city officials to balance the interests of the residents, city and developer. We supervise every step of the construction process; from the initial design sketches to the day of the grand opening. 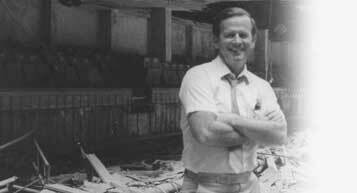 In 1993, Joe’s son Dennis Fitzpatrick assumed daily operations of the family business, and that same year he helped UC Construction branch out to feature homes in the Central Valley. 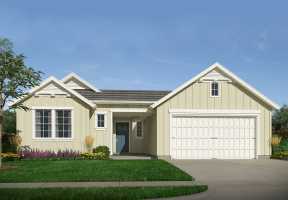 These residences, sold under the name Fitzpatrick Homes, have since been welcomed in towns such as Atwater, Riverbank, Tracy, Modesto and Turlock. Developers, both large and small, continue to look to UC Construction’s decades of experience and esteem within the industry to help keep their projects under budget and on time. Our family grows with every new project that’s completed and our dedication to client satisfaction remains as strong as ever.